zoom, originally uploaded by jahansell. 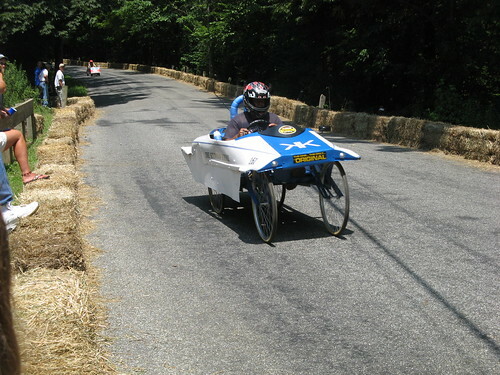 A belated photo of the Soapbox Derby which was very much fun. The cars were so creative, and they really moved - the speed clock showed them at close to 30mph. We didn't stay long - it was very hot, the girls wanted to to swimming and I, as is often the case on a Saturday, had to go to work. A few more shots here.